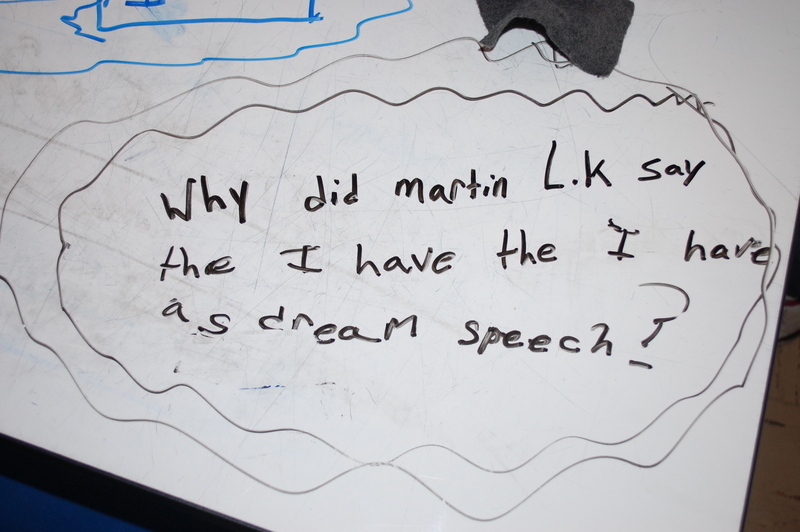 Not too long ago, I observed two children as they searched the school’s library database for books on their chosen inquiry topic –Martin Luther King Jr. My role was to sit quietly and observe, but it was tough! The pair first struggled with how to spell Martin (Marten) and then argued over what exactly they needed to know about him. The process went downhill from there, spiraling into a very unproductive activity and some animosity between the two children, until the teacher provided some support. Our goal is for children to be effective and efficient searchers for information, but this is easier said than done! I was recently reminded of a study by Sandra Hirsch (1999), where she identified specific roadblocks to children’s successful online searching. At the time, Hirsch had collaborated on a three-year project to refine an online catalog of science resources. Although much has changed with search engines, websites, and Internet speed since her work, I believe these roadblocks still remain for many students. Teachers, librarians, and tool designers can be instrumental in helping children to develop the skills they need to overcome the obstacles in their searching path. Children arrive at Kindergarten with a natural sense of curiosity, with genuine questions about what is new or unknown. Since young children can understand more words than they can express, their questions may not accurately reflect all that they wonder. Vocabulary development is a foundational element for children to form the clear questions that can lead to effective keywords to guide their search for information. Also, children may be unfamiliarity with the way the search engine works and the types of search terms that will yield quality results. Children may have difficulty understanding how to navigate category structures and the distinction between abstract top-level categories and sub categories used by the search tool. Two ways to support children include using vocabulary tools, such as the Scholastic Children’s Thesaurus, and modeling many online searches with students, explaining the thinking you are using, as the more experienced online searcher. Be sure to point out the thinking processes you use to generate a question rich in content vocabulary, then translate the question into relevant search terms. Because this work is mental, it’s important to let children in on your thinking so they can begin to understand the process for themselves. Boolean logic (the including of and, or, not, etc.) can facilitate a search for information, but can be daunting to both children and adults. Although older children are likely capable of creating Boolean queries, with instruction, they tend not to choose to do so on their own. But in a structured information database (not Google), Boolean logic can be quite helpful in narrowing down or broadening your search). The tool Boolify, which I reviewed at this blog post, is an interactive way to teach students about using these simple terms and symbols to narrow or broaden their search. 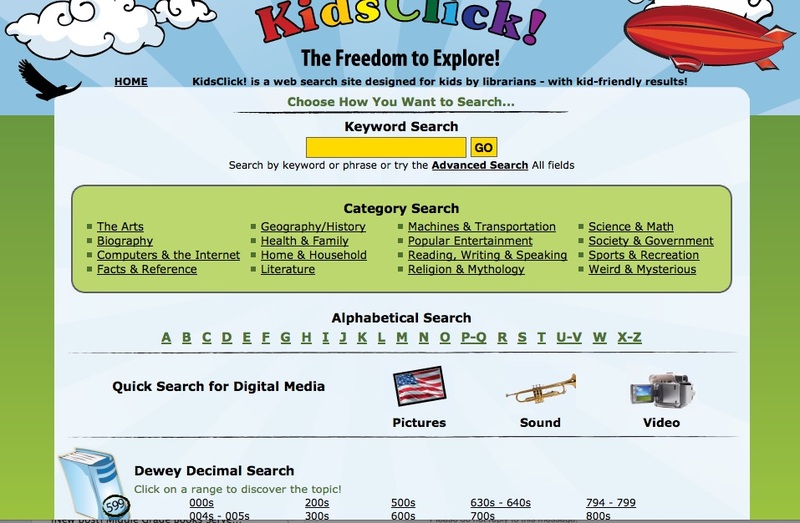 One example of an effective search tool designed for children is the website Kids Click. 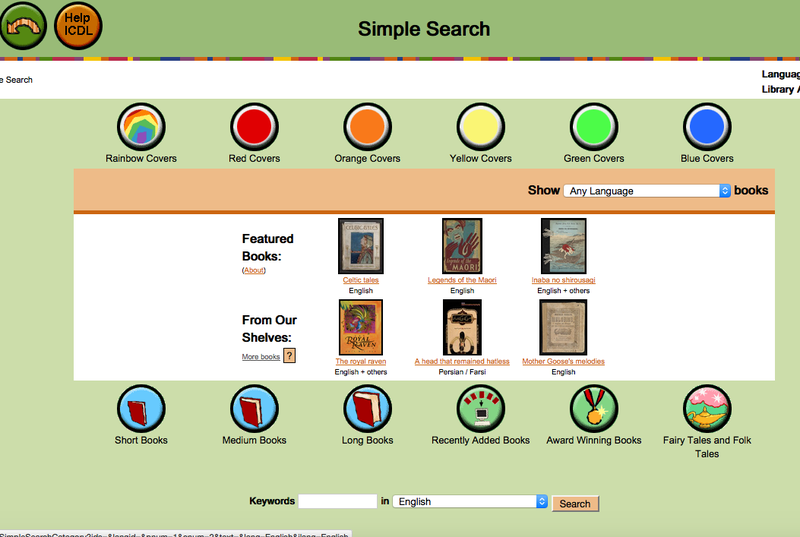 Users can choose between a keyword or advanced search or browse by alphabetized categories or the Dewey Decimal System, or search for media by browsing for pictures, sound, or video resources. Another useful resource designed for children is the International Children’s Digital Library. A search for ebooks on this site is designed support the use of Boolean queries, but also ebooks can be browsed through genre, age level, topic and length of book categories, identified with large buttons for easy clicking. Roadblocks that can stand in the way of a successful search for information can be overcome with a combination of age-appropriate information retrieval tools, high quality instruction from teachers and librarians (including thinking aloud), and much practice on the part of students. Hirsch. S. (1999). Children’s relevance criteria and information seeking on electronic resources. Journal of the American Society for Information Science, 50(14), 1265-1283.